The BricsCAD license deactivation always requires an Internet connection. Licenses cannot be deactivated manually via another computer (which is connected to the Internet). Single and Volume licenses manually activated, Network and trial licenses cannot be deactivated. 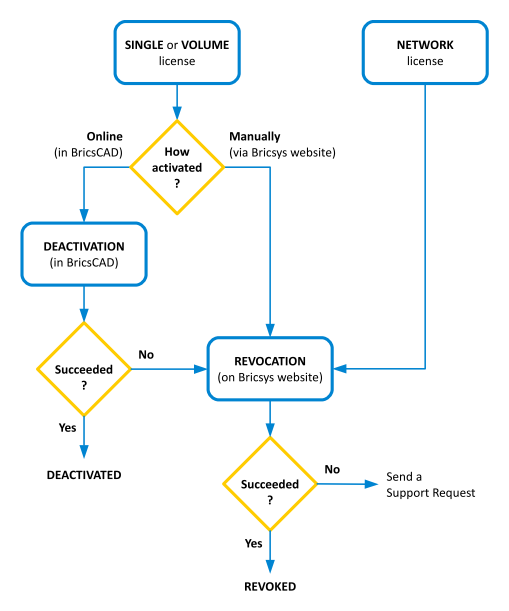 The chart below explains how a BricsCAD license can be deactivated. If the deactivation is not possible, the license can be revoked. 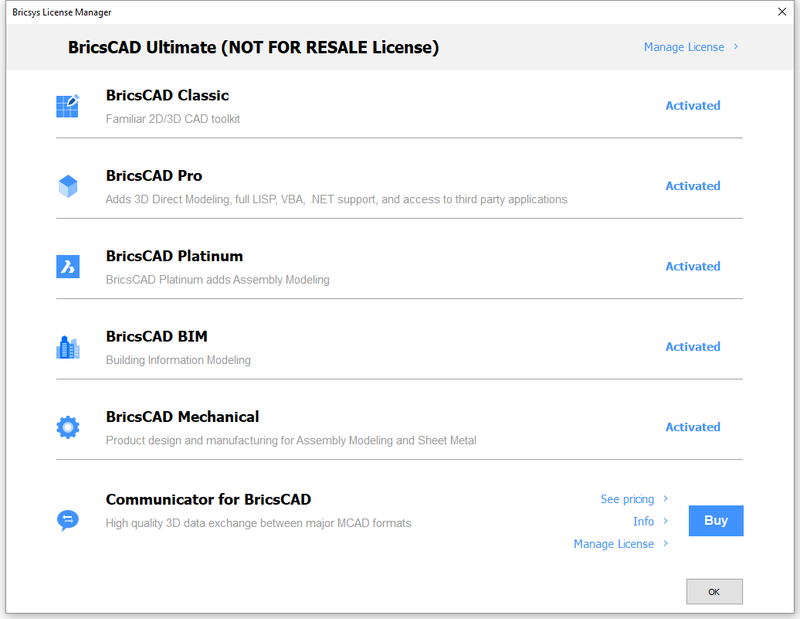 Remove BricsCAD permanently from a computer. Be able to reactivate BricsCAD after installing a new hard disk, changing partitions or upgrading the operating system. 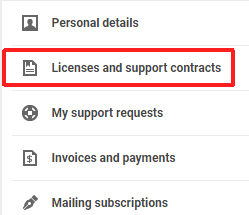 In the Help menu, choose License Manager... .
Click Manage License > in the top right corner of the dialog. If your computer connects to the Internet through a proxy server, click the Proxy Settings... button to configure the proxy settings. Click the Yes button on the confirmation dialog box to deactivate the license. The license is deactivated now and is available to be activated on another computer. In last resort, only if deactivation is not possible. Deactivate a Single or Volume license manually activated, or a Network license . Be able to reactivate BricsCAD after a hard disk crash. Log in to the Bricsys website. Make sure you log in with the Bricsys account containing your licenses. Once you are logged in, click on your name in the menu above right. A page opens, with informations linked to your account. Hover over the license key of the license you want to revoke and click on the pencil icon. Click the X icon to revoke the the license.